Like the rudder of a ship, the Kindergarten years determine the direction of your child’s education. The required skills, such as work habits, attitude towards learning, level of confidence, social and leadership skills, etc, take root between the ages of 5 and 6. What can Parents and educators of five- and six-year-olds do to ensure that these years of school are utilized most effectively? We need to understand the developmental stages and make full use of the child’s learning potential. Legacy is offering an opportunity for parents to come together to learn and discuss options, and to and hear from educators and parents who have been through these stages. This can be one of most important meetings you attend for your child. 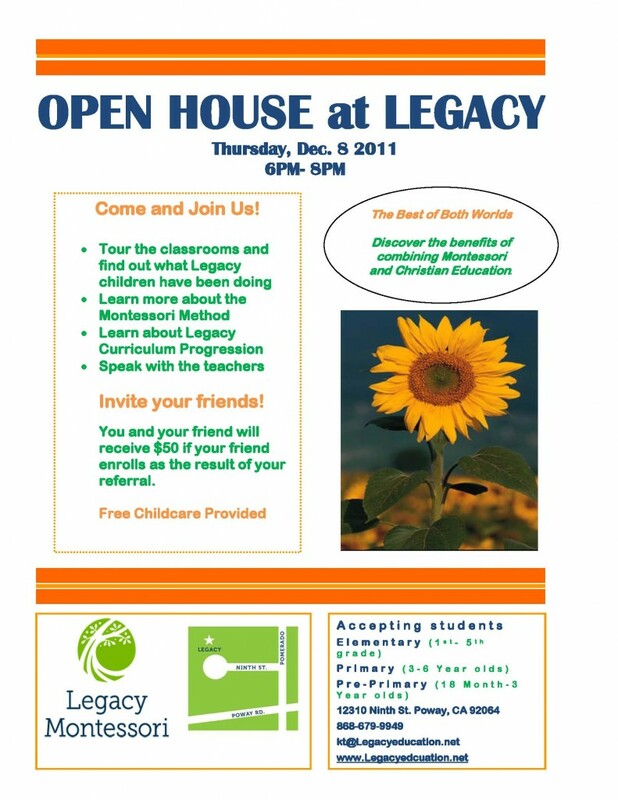 I hope to see you here at the school from 6pm- 8pm. Childcare and a light dinner are provided free of charge. Contact us if you have questions here. You and your friend will each receive $50 if your friend enrolls as the result of your referral. Looking for a Christian Montessori school for your elementary grade child? 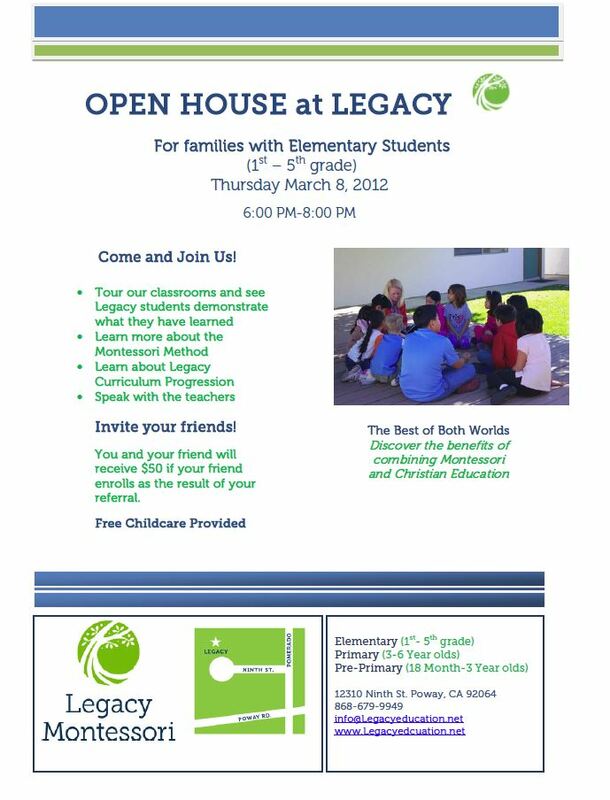 Please come to our open house on March 8th, 2012. You’ll receive information, a tour of our classes and a chance to meet our esteemed faculty and staff. Looking for a Christian Montessori school for your 3-6 year old? 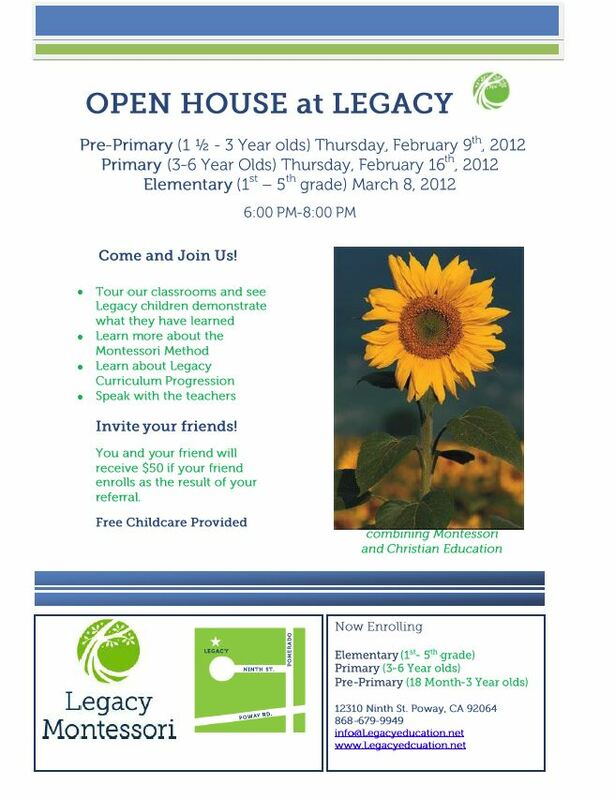 Please come to our open house on February 16th, 2012. 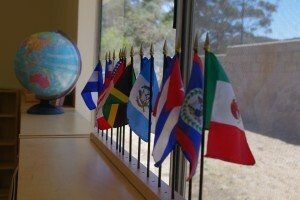 You’ll receive information, a tour of our classes and a chance to meet our esteemed faculty and staff. Looking for a nurturing environment that cultivates students with above-grade academics and Biblical values? 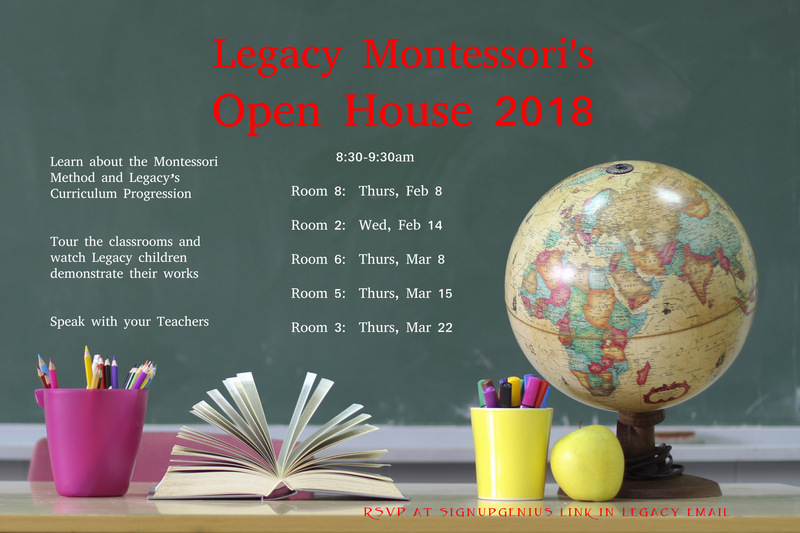 Wondering if Legacy Montessori School is right for your child? Come to our open house and see for yourself!